Designed and made exclusively by Ethan Lord. 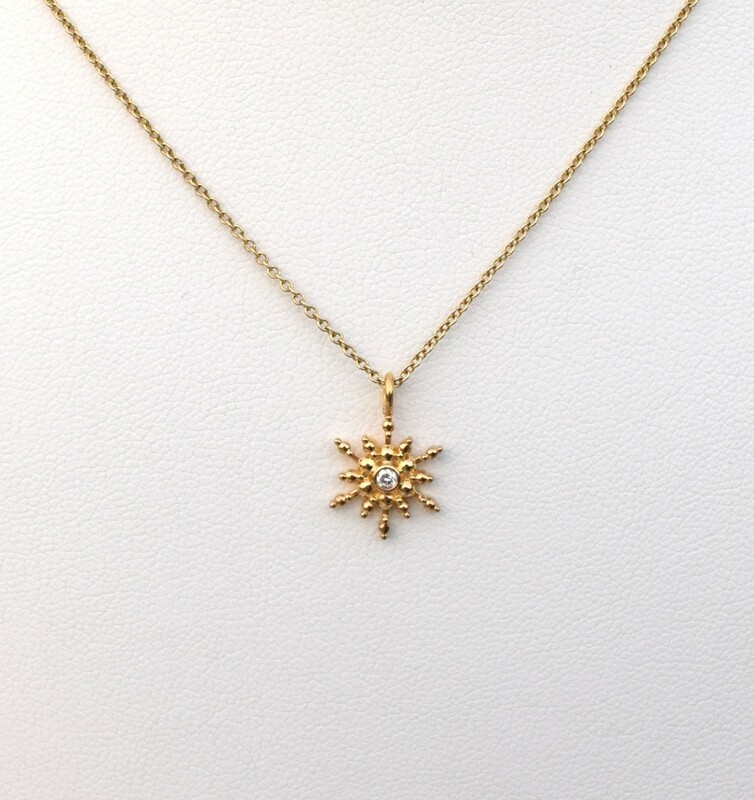 A .05ct diamond is set in gold plated sterling silver snowflake pendant. Wear for the holidays and all year long. Hangs on a 22" chain. Chain can be shortened, or pendant can be affixed for a "floating" look (see Diamond Snowflake Pendant). Please leave us comment to specify. Designed and made exclusively by Ethan Lord. 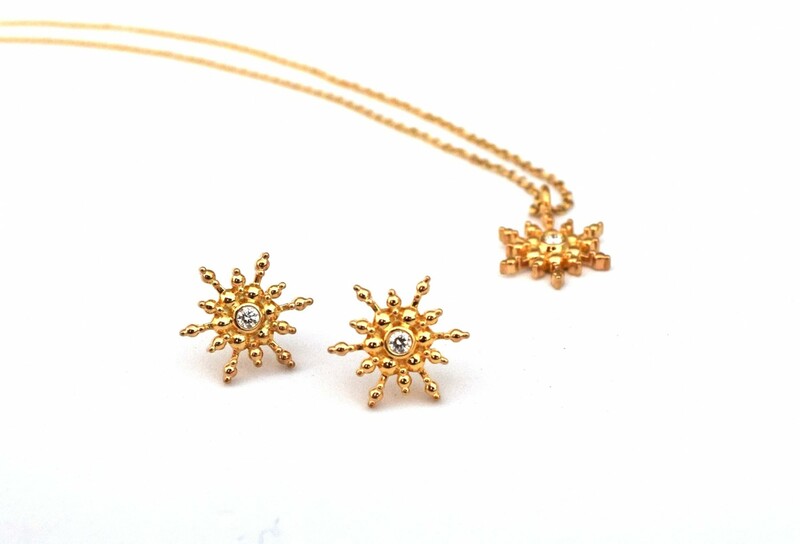 A .05ct diamond is set in gold plated sterling silver snowflake pendant. Wear for the holidays and all year long. Hangs on a 22" chain. 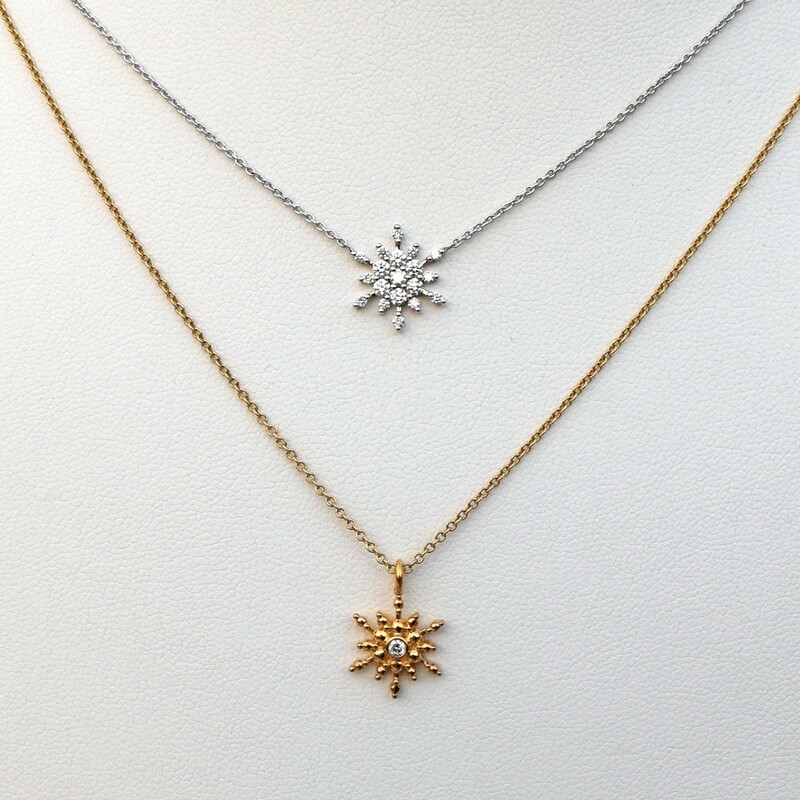 Chain can be shortened, or pendant can be affixed for a "floating" look (see Diamond Snowflake Pendant). Please leave us comment to specify.